Unions have said they would fight a potential 1,160 job losses at Ford's engine plant in Bridgend. Unite said it would "use all its might" while the GMB said the outlook, confirmed at a meeting, was a "real kick in the teeth". Unless new business comes in, the south Wales site could be left in a worse case scenario with only 600 workers by 2021. The prime minister said a "dialogue" would continue with Ford about help. On Wednesday, Ford shared its five-year outlook with unions in the wake of reductions in planned investment in its new Dragon engine. It said there were "healthy volumes" of work over the next two to three years. "Beyond that, identified workload is reduced and whilst such a forecast is not unusual, given the cyclical nature of our business, it is a concern and we fully understand that," said the company. Speaking at Prime Minister's Question Time, Theresa May told Parliament: "Ford is an important investor here. It has been established here for over 100 years. We now account for around a third of Ford's global engine production and Bridgend continues to be an important part of that. "We have had dialogue with Ford. We will continue to have a regular dialogue with Ford about the ways government can help to make sure this success continues." Economy Secretary Ken Skates said he had spoken to Ford's vice president and told assembly members there was a need for Ford to "better communicate" the long-term plans for the plant to the workforce. "We stand ready to do all we can to support the plant in becoming more productive and crucially in securing new products for the plant from 2021 onwards," he said. But he added: "I do believe in order to avert the crisis, we need to have a more meaningful engagement from the UK government. "What's good for Nissan is surely good for Ford." A leaked company document, seen by BBC Wales, said the plant was underperforming in comparison to similar sites, including at Dagenham in Essex. A decision to cut investment in a new Dragon engine project was announced in September. The Unite union called a mass meeting at Bridgend amid concerns for the long-term future for the plant. Ford said it has proposed a joint working party with the Unite and GMB unions to identify future business opportunities. "It goes without saying, that in order to attract new business, the Bridgend operation would need to ensure its competitiveness, and addressing some of the current concerns relating to the plant's efficiency would be high on the agenda," the company said. 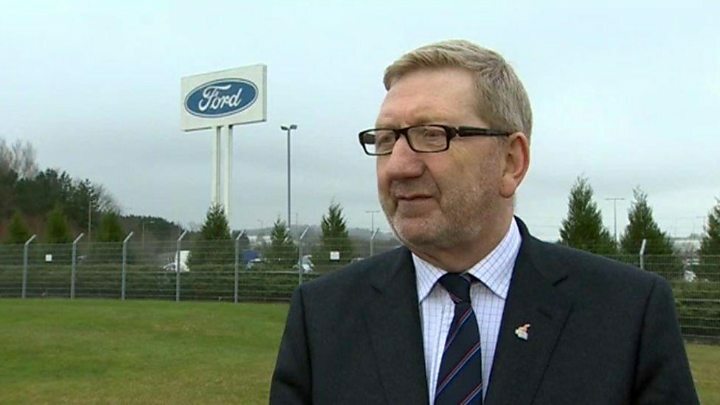 Unite's Len McCluskey said he wanted guarantees to secure future production at the plant and for the company to look at introducing new lines. "This loyal workforce and their union have been kept in the dark over recent months," he said. "But the focus now has to be saving these jobs. We will not allow Ford to walk away from its responsibilities. Ford must give this plant a chance and work with Unite to secure a better future." Jeff Beck, GMB organiser, said: "The nightmare for our members at Bridgend has unfortunately come true. "This is a real kick in the teeth for our hard-working members at the Ford plant - as well as their families and the community as a whole." Bridgend MP Madeleine Moon met Ford officials on Tuesday and said: "I am absolutely stunned. As far as I understood Ford were trying to find more work at Bridgend - nothing was said about job losses." Labour leader Jeremy Corbyn raised the future of the plant during prime minister's questions in the House of Commons. Five months ago, Ford announced Dragon production would be cut to 125,000 engines a year and investment would reduce from £181m to £100m. 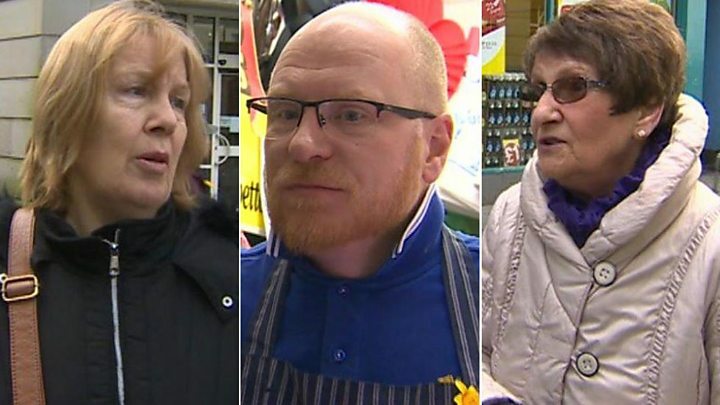 The Welsh Government promised £15m state aid on the condition 500 jobs would be secured. 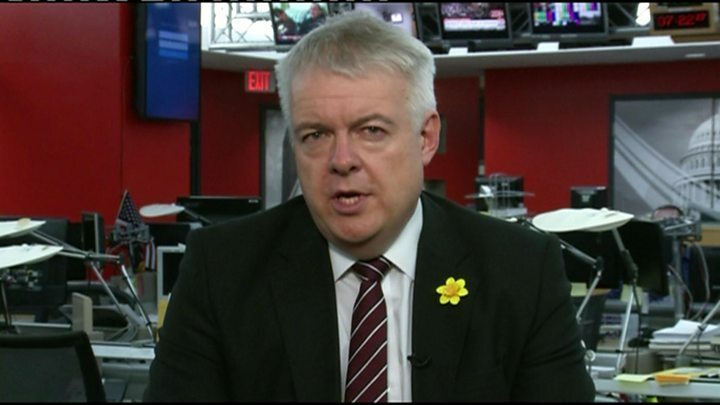 Opposition AMs from Plaid Cymru and the Welsh Conservatives have called for First Minister Carwyn Jones, who is in the United States, to travel to Detroit so he can speak to Ford executives. Plaid's economy spokesman Adam Price called for a summit on the automotive industry and told AMs if losing two thirds of employment at Wales' third biggest manufacturing plant was on the agenda it would be an "economic crisis every bit as serious" as the problems recently affecting steel. 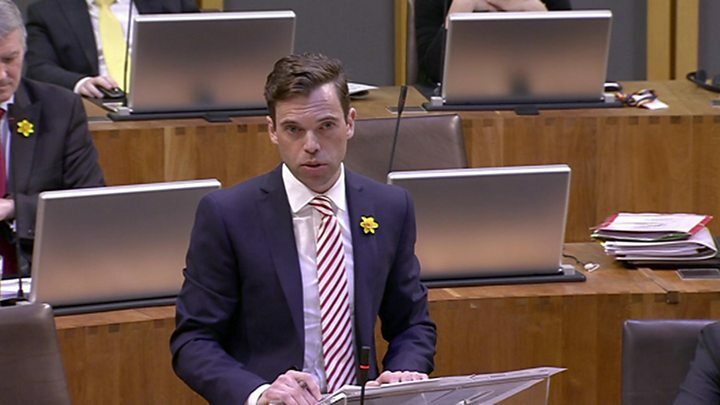 His Welsh Conservative counterpart Russell George said: "The first minister must now drop any engagements he has in Washington and travel straight to Detroit to speak with Ford executives and seek assurances over the Bridgend plant's long-term future."